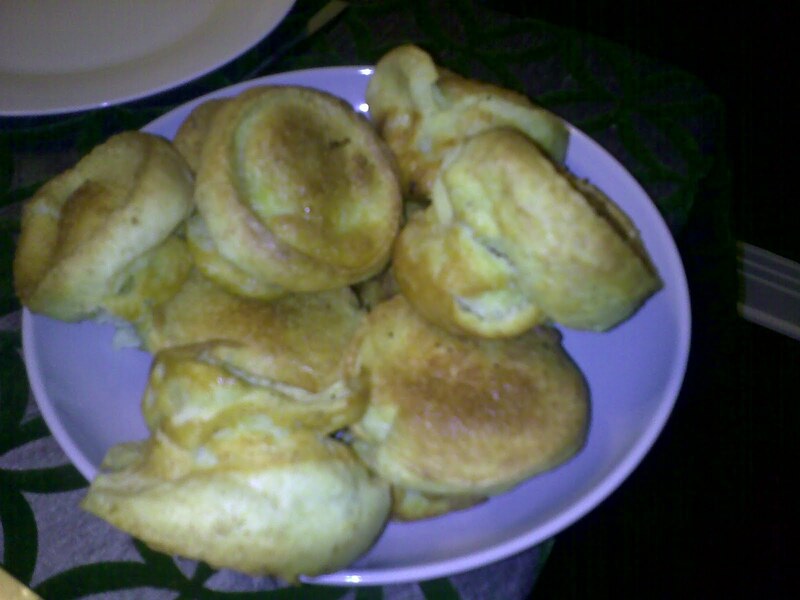 The roast was good but the star was the yorkshire pudding and the jus that is created in the slowcooker. Don’t forget to start your meat off frozen and you will have a lovely moist roast at the end of the day. My father-in-law got to choose the protein for tonight and he loves fish. I have some nice wild salmon in the freezer and lots of wasabi powder…this is what you get as a result. I’m going to stirfry some rapini with it and have some greens out of the garden. Place the wasabi in a small bowl. Slowly add in the water, whisking, to make a paste. Add the vinegar and soy, and whisk well. Place the salmon fillets in a glass baking dish and coat evenly on both sides with the wasabi mixture. Season lightly with the Essence. Place the panko crumbs in a shallow dish. Turn both sides of the fillets in the crumbs to coat evenly, pressing to make the crumbs adhere. Set on a waxed paper lined baking sheet and refrigerate for 30 minutes. In a large skillet or saute pan, heat the oil over medium-high heat. Add the fish and cook until medium-rare, about 3 to 4 minutes per side, depending upon the thickness of the fish. Divide among 4 serving plates, drizzle with the Orange-Ginger Sauce, and dust with the seeds. Serve immediately with steamed rice, and pass the remaining sauce at the table. Recipe from New New Orleans Cooking, by Emeril Lagasse and Jessie Tirsch. Published by William Morrow, 1993. In a medium, heavy saucepan, combine the shallots, ginger, orange zest, wine, and orange juice and bring to a boil. Reduce the heat to medium-low and simmer until reduced in volume by 2/3. Add the cream and cook until reduced by 1/2.